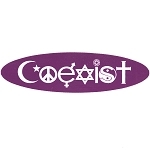 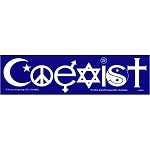 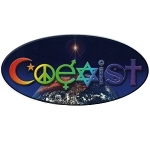 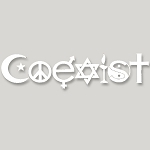 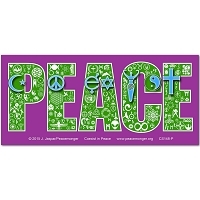 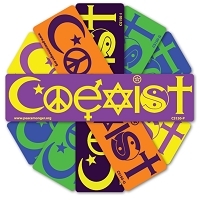 This sticker features a vertical Coexist symbol design including a Hindu OM symbol and a flaming chalice which represents a plethora of ancient mythology through modern Unitarians. 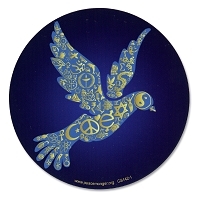 The backgound represents the seven chakras, or energy centers in the living being. 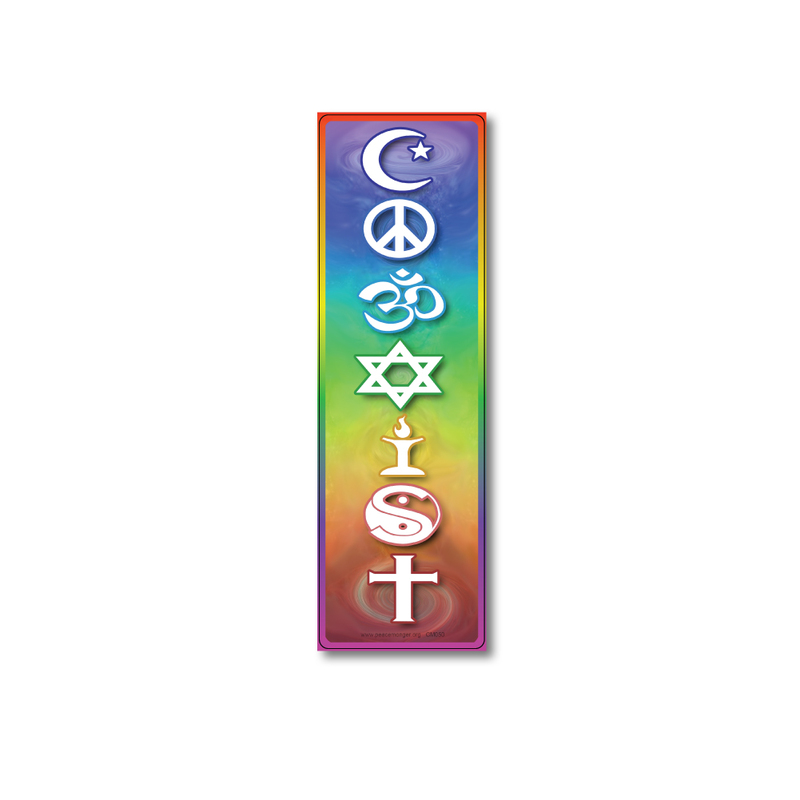 A vibration flows from the red 'base' chakra at the lower end, through a rainbow of color to the purple 'crown' chakra at the top. 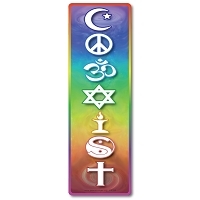 The function of the chakras is to spin and draw in this energy to keep the spiritual, mental, emotional and physical health of the body in balance. 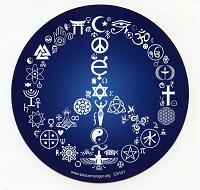 They are said to reflect how the unified consciousness of humanity (the immortal human being or the soul) is divided to manage different aspects of earthly life (body, instinct, vital energy, deeper emotions, communication, an overview of life or contact to God).